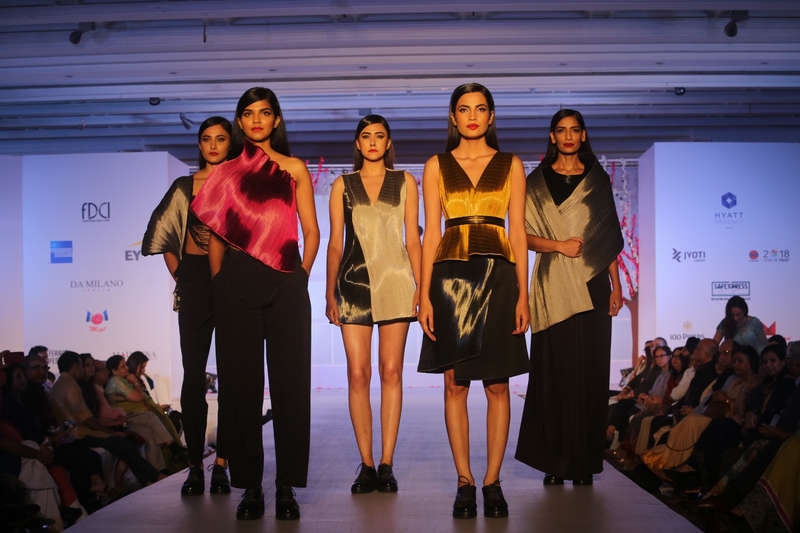 Tamana and Fashion Design Council of India (FDCI) organised its annual fashion show on September 15, titled “Unity in Diversity”, co-hosted by the Hyatt Regency Delhi. 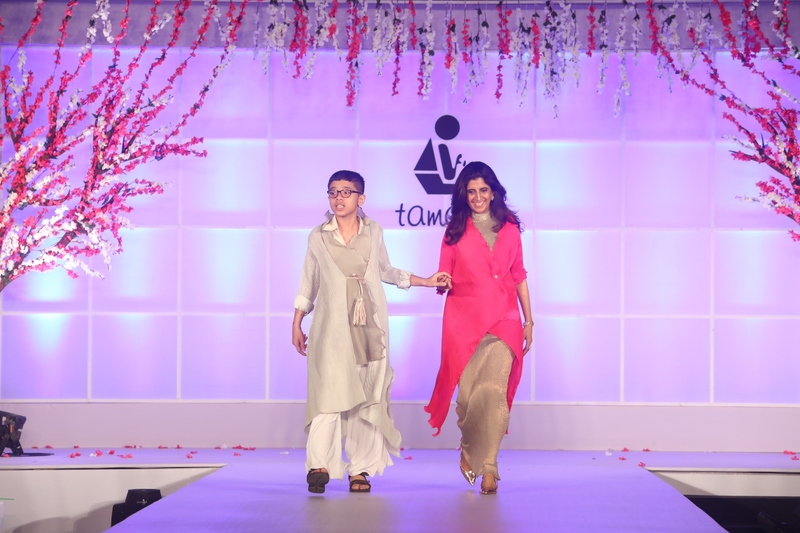 The show was a joint effort to bring differently abled and autistic children of Tamana NGO in the main league. 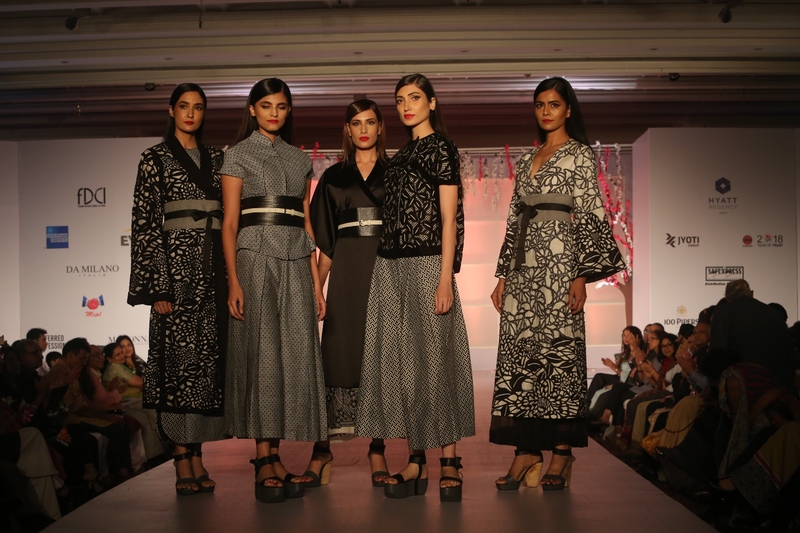 Designer members of FDCI namely 11.11 CellDsgn, Alpana Neeraj, Amit Aggarwal, Kiran Uttam Ghosh, Nitin Bal Chauhan, Payal Pratap Singh, Rajesh Pratap Singh and Rimzim Dadu, along with other designers – Asha Gautam by Gautam Gupta and Asha Rani Gupta, Ridhi Arora and Namita Bansal specially designed the collection for the students of Tamana. 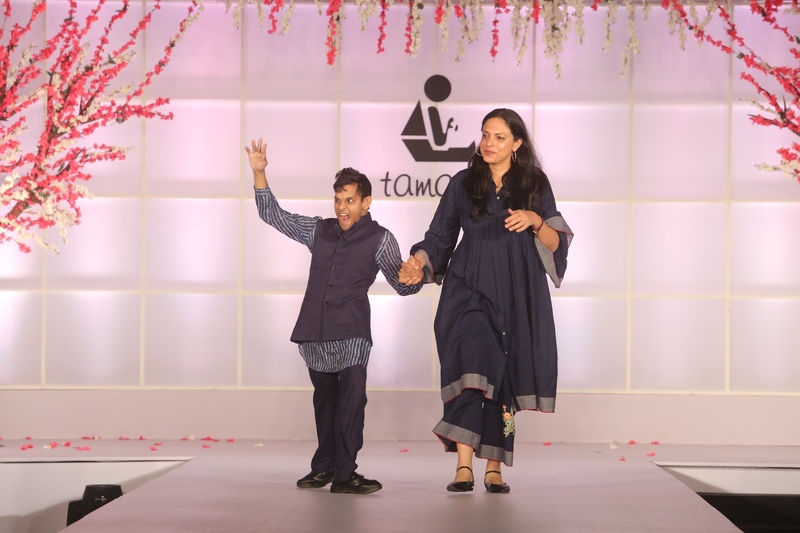 Kiran Uttam Ghosh with Tamana student-How confident he looks! 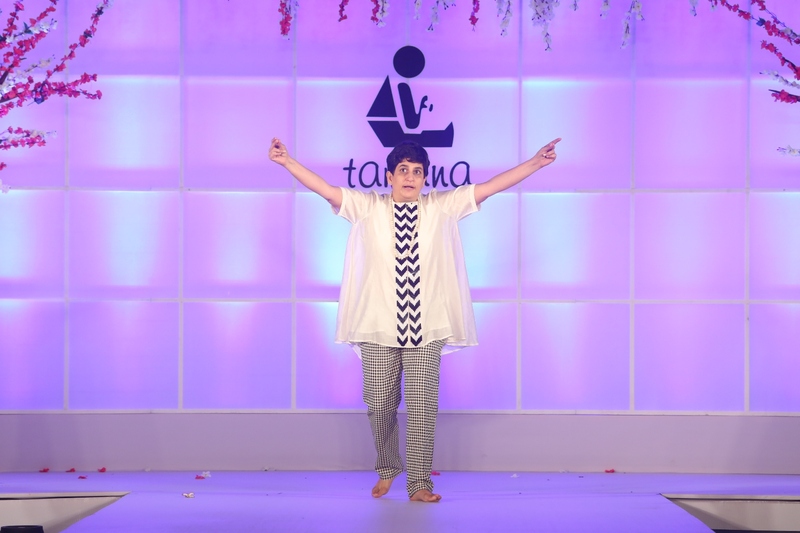 Payal Pratap supports Tamana since long and this cute child of Tamana has walked the ramp so many time for this yearly feat! 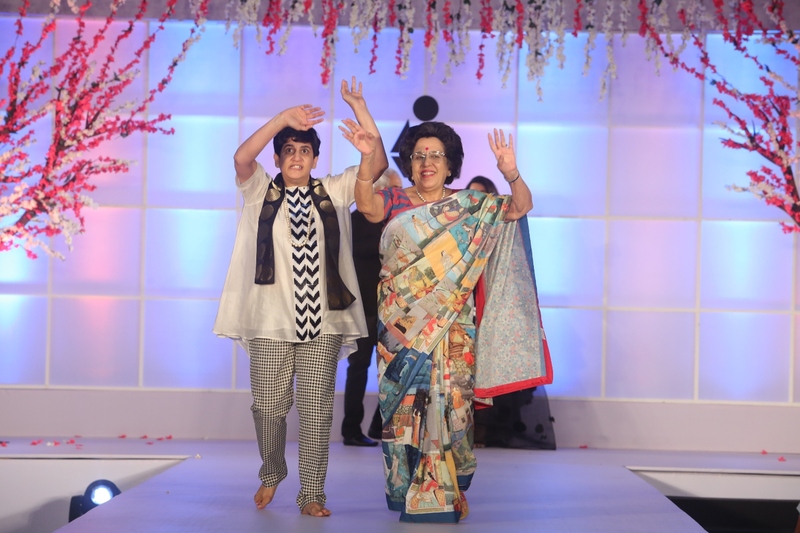 What made this years’ event extra special is that for the first time the ensembles designed and manufactured by the differently-abled at the sublimation unit at Tamana’s Skill Development Centre debuted on the catwalk.The evening concluded with Tamana Chona, dressed in Amit Aggarwal, expressing her gratitude to the distinguished audience . 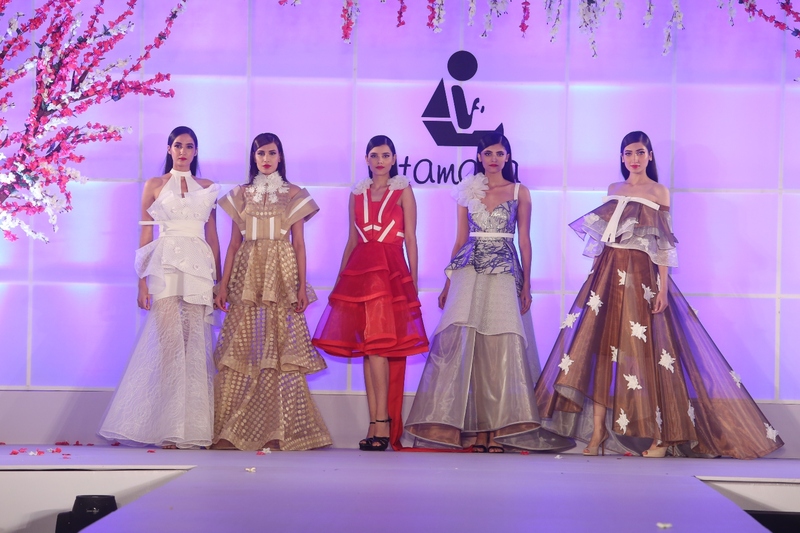 Tamana looked sweet and very confident in Amit Aggarwal collection! See yourself! 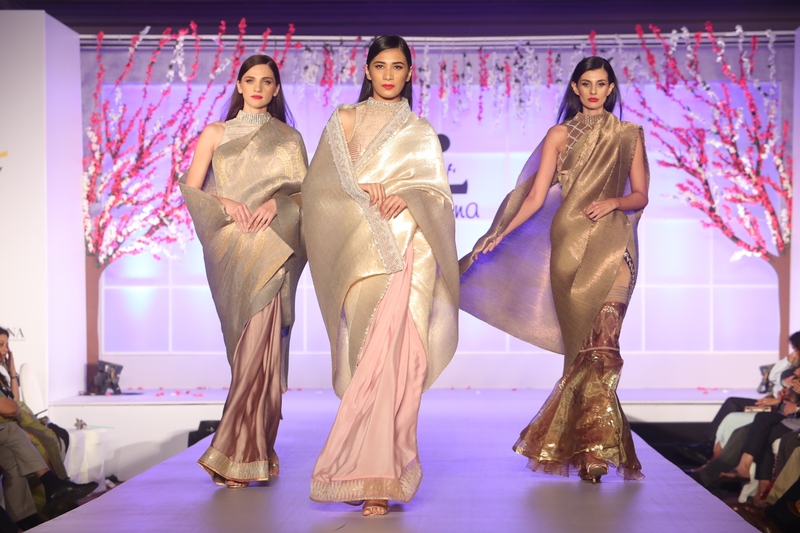 Tamana was not happy with her shoes, but it didn’t stop her from enjoying the evening. Rather she had lots of fun and made others have the same. 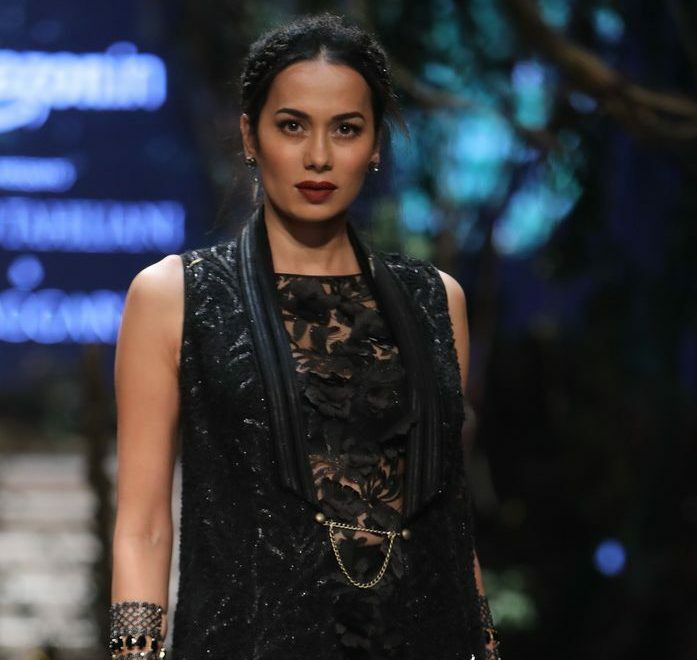 Bollywood actress Soundarya Sharma walked as show stopper in Alpana Neeraj ensemble. 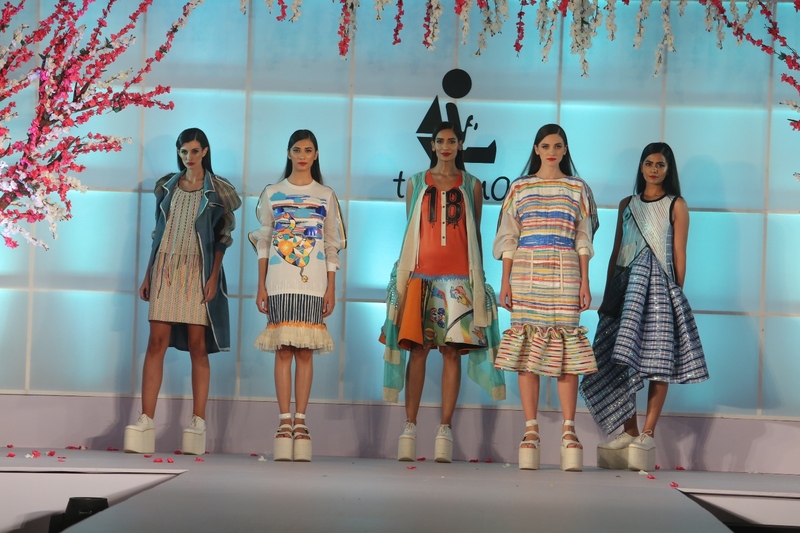 Alpana Neeraj Collection used bright colours with international appeal!